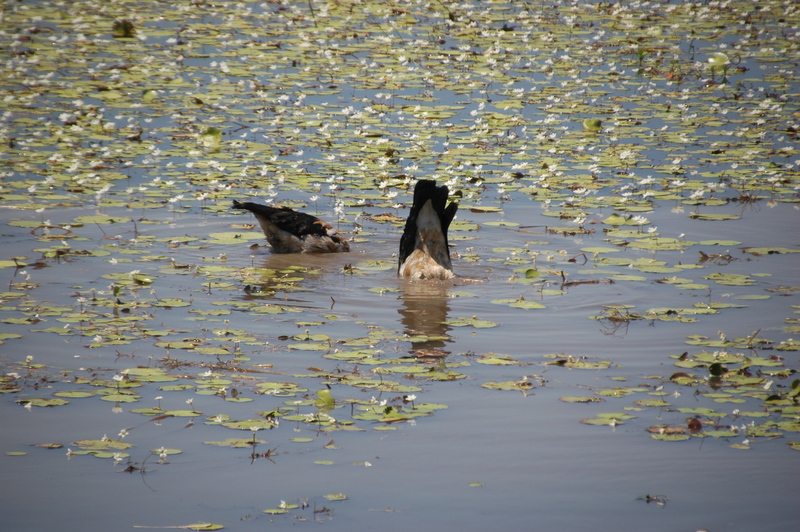 A bums-up salute from magpie geese greeted us at Mamukala Wetlands last month as they scrabbled to stretch their necks to the bottom of the billabong in search of juicy bulbs. It was a comic display and one that was repeated by geese throughout Kakadu National Park as they filled up on water chestnuts before the billabongs dry up and the ground becomes to hard to extract them. 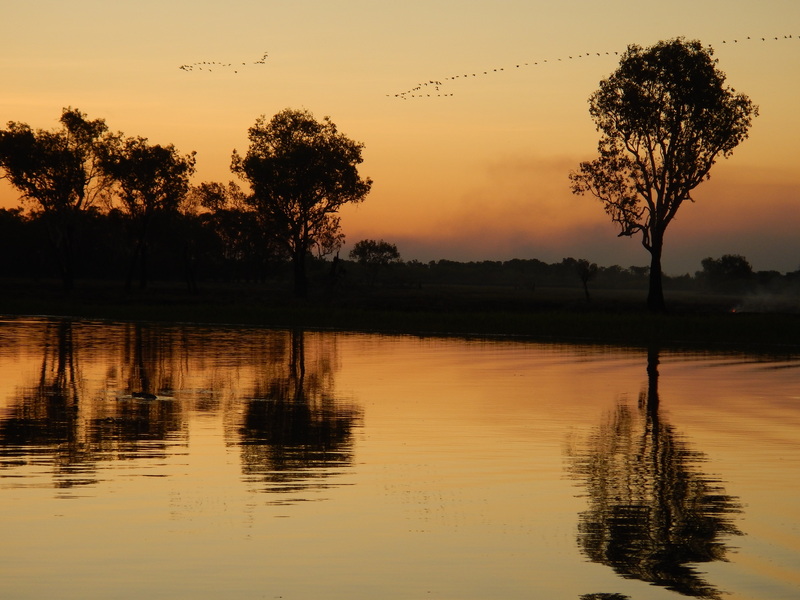 While I knew the bird life in the park was prolific, I didn’t realise that Kakadu is home to one third of Australia’s bird species, including an estimated three million magpie geese. Listening to their comic honking and watching them take flight en masse at sunset is a memory I’ll now always associate with Kakadu. 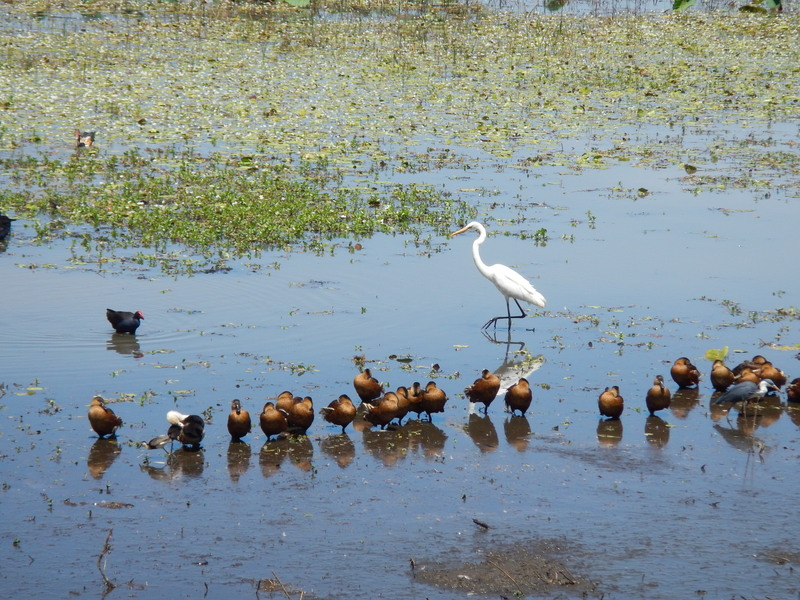 As well as the bird hide at Mamukala, the easiest way to see the variety of water birds is on a Yellow Water cruise. From tiny kingfishers to regal eagles, Jesus birds to jabirus, the guides know where they hang out and delight in showing you as many species as they can. Learn more about how I got all twitchy in Kakadu in my story for Escape Flock to Kakadu. 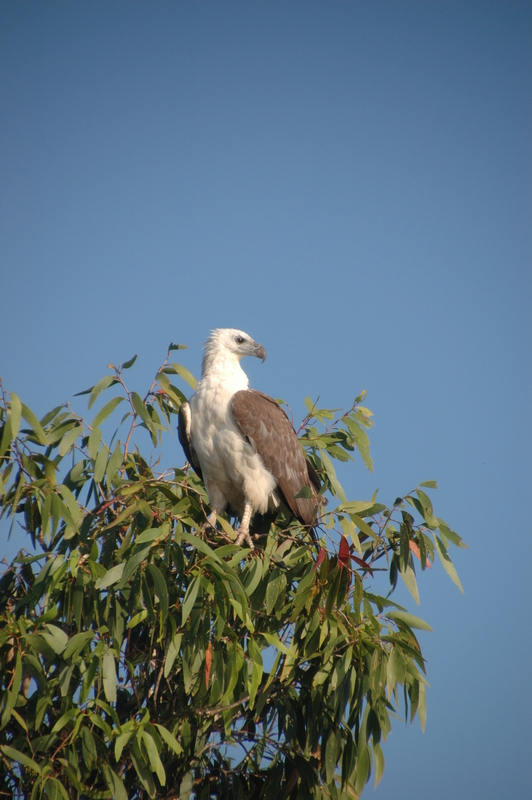 A white-bellied sea eagle at Yellow Water, Kakadu. Now I wish I could go back for Kakadu Bird Week, which runs from 14-21 October. Aimed at both novice and experienced twitchers, it includes talks, guided walks and special cruises. There’s a mini Twitchathon, the opportunity to participate in scientific monitoring surveys and a photographic competition on the park’s Facebook page facebook.com/kakadunationalpark. Discalimer: I travelled to Kakadu with the assistance of Tourism NT and Kakadu Tourism. This entry was posted in Animals, bird watching, birds, Kakadu Bird Week, Travel News & Events and tagged Australia, Kakadu, national parks, Northern Territory, travel. Bookmark the permalink.